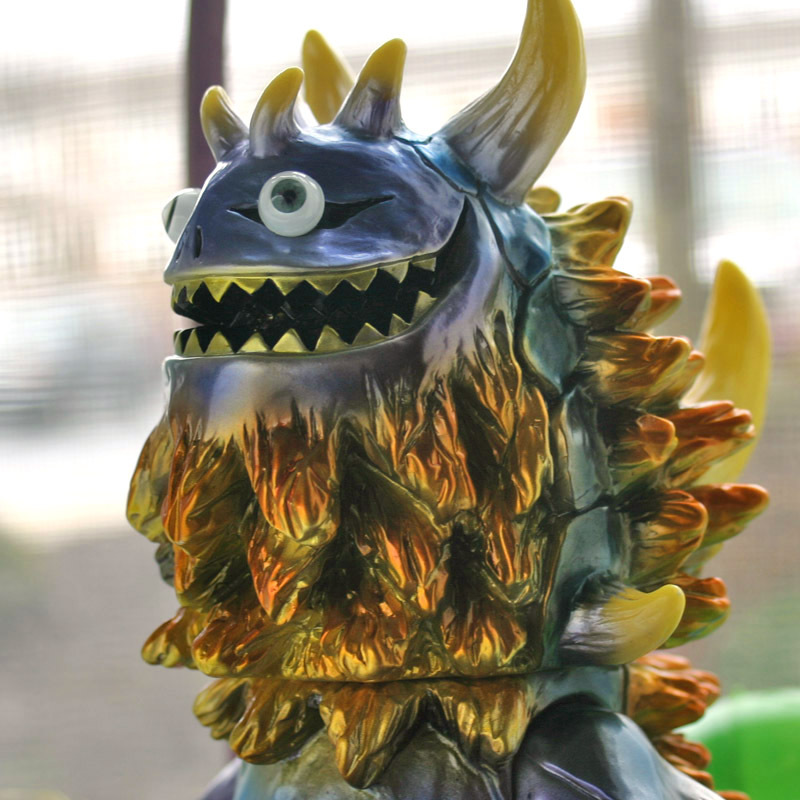 Kaiju - Its been a long time old friend. While I'm waiting on some special parts for the Glyos project I am working on I decided to actually get around to painting some of the Japanese vinyl I've got, and I started with one of my favorite toys- Rangeas by T9G. Rangeas here turned out pretty Easter-ish, the initial plan wasn't anything like this all, he was going to be black with red highlights and green horns. I started with the beard, and then I just went from there and instead of black he turned out purple and blue and given the time of year I figured I'd go with it. ;) The horns were left bare, to show the original vinyl in some way. 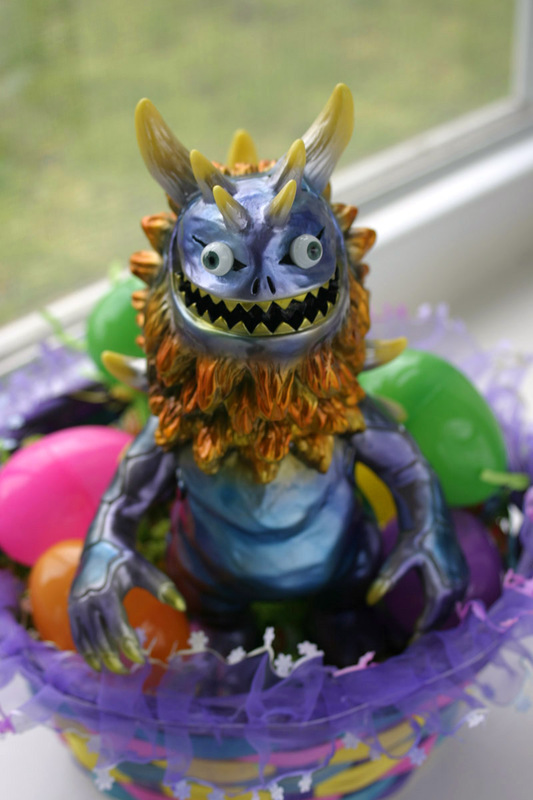 Now my good buddy Joe over at Kaiju Chronicle painted am Easter themed Rangeas last year for the ICFSB1 show, so yeah I'm taking your idea Joe, whatcha gonna do about it?